Neat as a pin!!! 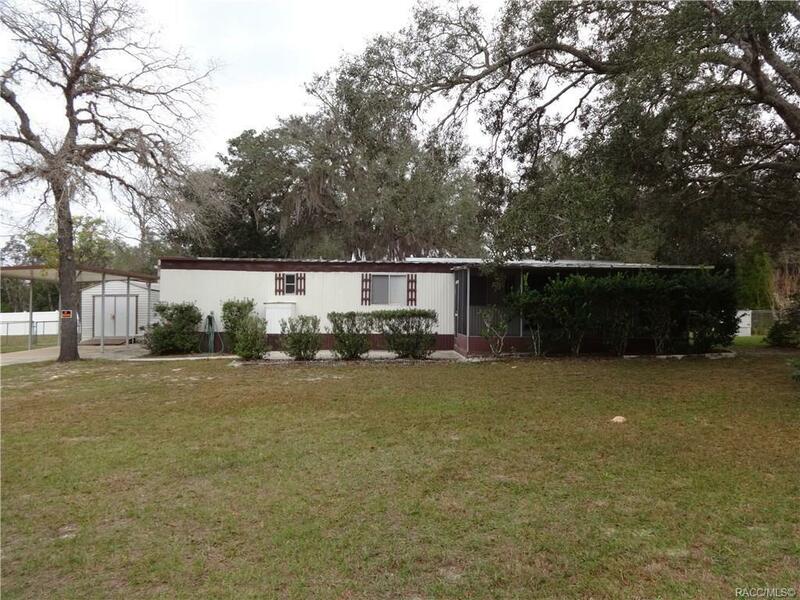 3 bedroom 1 bath mobile, located on half acre, fenced backyard, interior has been remodeled, fully furnished, metal roof over, fenced backyard, large screen porch, 1 car detached carport, 10x16 shed, open back deck for grilling, paved roads, Lecanto Schools, this is a must see!! !